Do you need a new video on Heat Stress, Walking and Working Surfaces or Reach Truck Safety? We are constantly producing new OSHA compliant videos and creating new online occupational safety training opportunities. Check back frequently to see our newest training programs! CLMI will help you develop a safer, more productive workplace. Our online safety training videos are OSHA compliant and are designed with your employees’ well being as the number one priority. We offer multiple systems to provide you the best training videos online, so you can access your safety training materials 24/7. 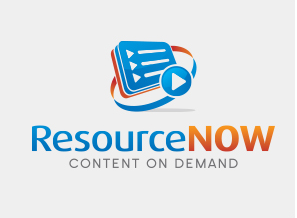 Explore our library of OSHA compliant training videos to purchase or access on demand. By effectively training your employees, you can confidently move your business forward safely and profitably. Online courses are not only convenient for all of your employees’ schedules and locations, they also keep training consistent. With the flexibility of online training courses, you can obtain your DOL certification on your own schedule. This course gives you 180 days to finish, allowing you to start and stop when it works for you. The U.S. Department of Labor’s Occupational Safety and Health Administration (OSHA) has announced a delay in enforcing certain requirements of the final rule on occupational exposure to beryllium in general industry. These requirements will not be enforced until Aug. 9, 2018. "If your company is in the market for online safety training, I highly recommend CLMI. The program was purchased by our Safety & Occupational Health Manager and is used for the majority of the Depot's safety training. CLMI has been able to meet the needs of over 400 employees by offering an extensive course library, customizable courses and due dates, detailed reporting and easy data entry. The software is very intuitive. After a short online run through, I was adding resources, creating courses and custom reports, updating users, and pushing out the training notifications. The customer service is excellent as they are always readily available to assist. I would recommend CLMI to anyone looking for a complete, professional and easy to use online learning management system." Kathie Richard | Contractor-Tetra Tech, Inc.
"I use CLMI for all of my company's safety training. They have been able to meet the needs of our 2,700 employees by offering an extensive course library, customizable courses and due dates, detailed reporting and easy data entry. The customer service is excellent! 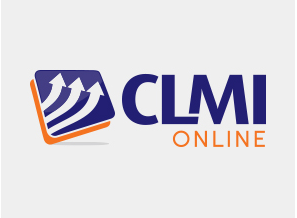 I would recommend CLMI to anyone looking for a complete, professional and easy to use online learning management system." "The individuals working at CLMI have been great to work with, from the sales staff to the software engineers. They have listened to our needs and helped us to get the most out of our training system." "CLMI has all the tools to complete your safety training. Tracking and documenting training has never been easier!" "CLMI is the BEST online training company!!!"